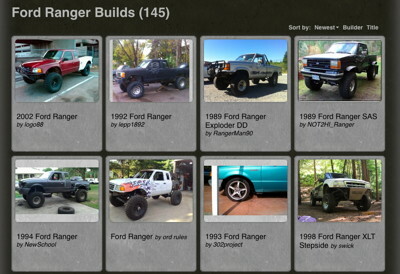 TruckBuilds.net is an encyclopedia of 3,375 truck builds. We find truck build threads across numerous truck forums, and organize them in one place, always with full credit to the original builder and site. TruckBuilds.net is updated daily with new truck builds. 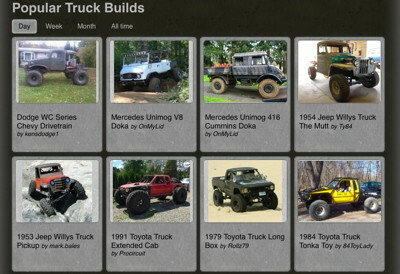 Browse truck builds by model! See all truck builds for your favorite truck model. We have thousands of trucks listed, including Ford F-Series, Chevrolet Silverado, Toyota Tacoma, Holden One Tonner, and many more. Browse truck builds by site! Interested in truck builds from a specific site? 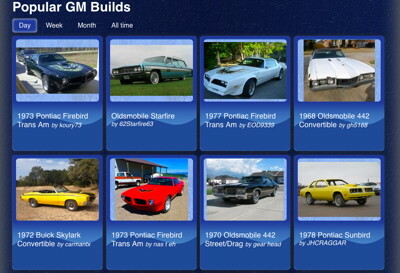 You can view all builds from your favorite site, such as Ford-Trucks.com, 67-72ChevyTrucks.com, or YotaTech.com. You can also submit a new truck build (built by you or someone else) by clicking the "Submit" tab at the top of the screen. We'll review the build and add it to the site. 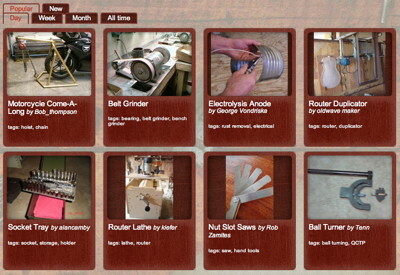 An encyclopedia of 25,000+ homemade tools from 2,400+ different websites. 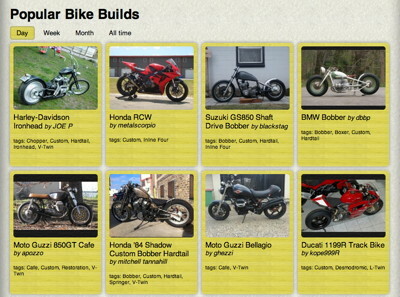 An encyclopedia of 3,700+ motorcycle builds from 220+ different websites. 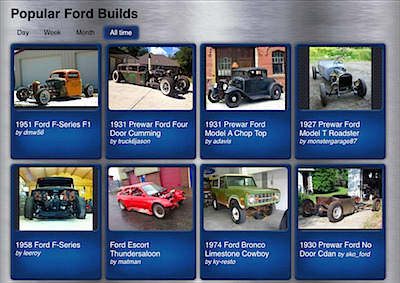 An encyclopedia of 4,000+ Ford builds from 130+ different websites. 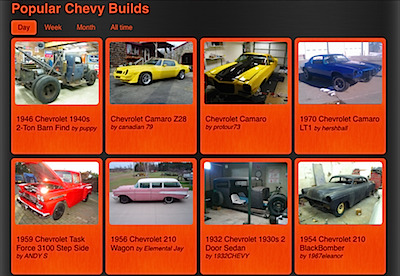 An encyclopedia of 3,500+ Chevy builds from 100+ different websites. 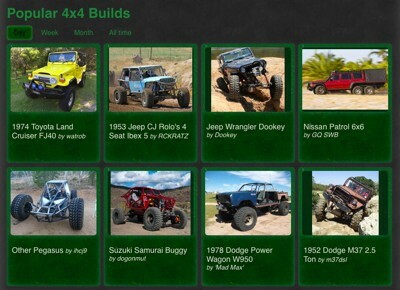 An encyclopedia of 2,800+ 4x4 builds from 40+ different websites. 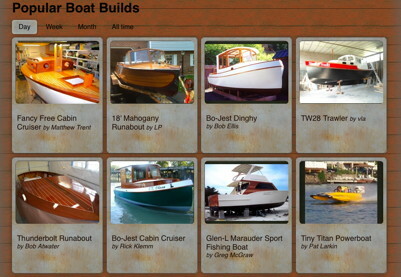 An encyclopedia of 1,100+ boat builds from 140+ different websites. 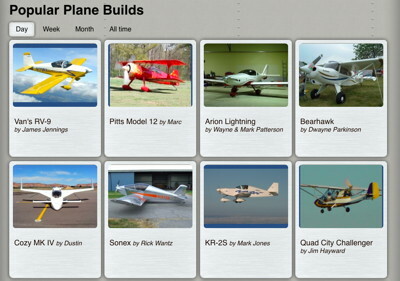 An encyclopedia of 1,000+ plane builds from 190+ different websites. 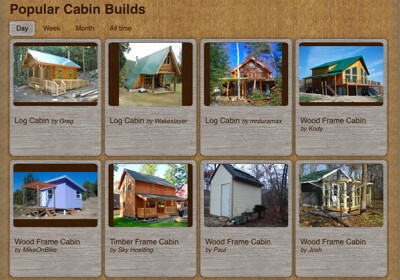 An encyclopedia of 500+ cabin builds from 30+ different websites. 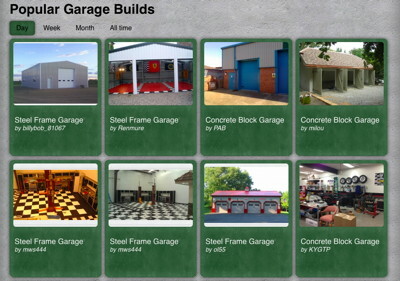 An encyclopedia of 500+ garage builds from 70+ different websites. 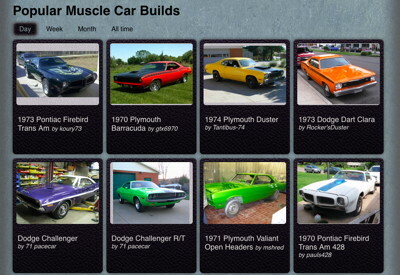 An encyclopedia of 2,800+ muscle car builds from 100+ different websites. 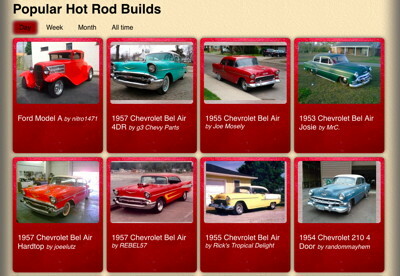 An encyclopedia of 600+ hot rod builds from 30+ different websites. An encyclopedia of 1,000+ GM builds from 60+ different websites. An encyclopedia of 2,200+ truck builds from 130+ different websites.